Kim, Kourtney and Khloé’s Kardashian Kollection for Lipsy has broken all records for the British retailer and is the fastest-selling collaborative collection in the brand’s history. Within 24 hours of the eagerly-anticipated collection going on sale, many of the pieces had completely sold out. 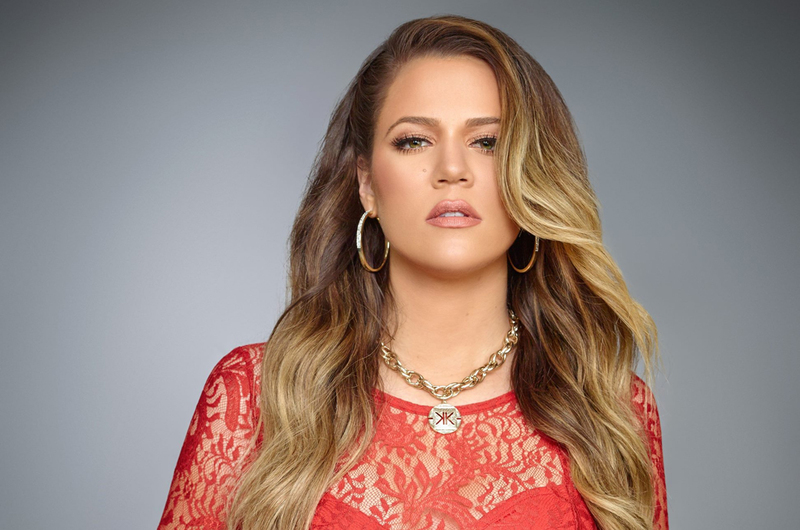 Sales sparked when Khloé, 29, began a live Twitter chat to celebrate the launch and pass on style tips using the #KhloeKKLipsy hashtag, which within minutes became the top trending topic on Twitter in the UK. During the chat, there were more than 50,000 visitors to the site. Fans of glossy trio Kourtney, Kim and Khloé are delighted with the Kardashian Kollection – sleek, glamorous and figure-hugging, it encapsulates the girls’ signature styles to perfection, with black leather, leopard print and fire-engine red dominating the collection. The 40-piece range strives to “embrace Kim’s glamorous vibe, Kourtney’s eclectic taste and Khloe’s edgy style“, with lace overlay dresses, sequin biker jackets and tribal embellished crop tops. Speaking in an exclusive interview with HELLO! Online, oldest sister Kourtney revealed that the Kollection is “a complete mix of Kim, Khloé and I – each of our individual styles are reflected and that has been the way we have always designed. Kourtney also spoke about how the collection stands apart from their previous collection. “We wanted to offer something different to what currently exists on the British high street,” she said. Shot by fashion photographer Terry Richardson, who most recently sparked controversy with his risqué pictures of Miley Cyrus, the campaign pictures show the girls modelling their favourites from the collection. A standout item is the “tribal caviar dress” – modelled by Kim, the black patterned number shows off the new mum’s slim post-pregnancy body. The 33-year-old is said to have lost over 25lbs after following the Atkins diet. With prices ranging from £30 – £150, the Lipsy collaboration is more upmarket and trend-driven than their Dorothy Perkins collection, which launched last year. The Kardashian/Jenner Family Celebrate Bruce Jenner’s Birthday—See the Pics!